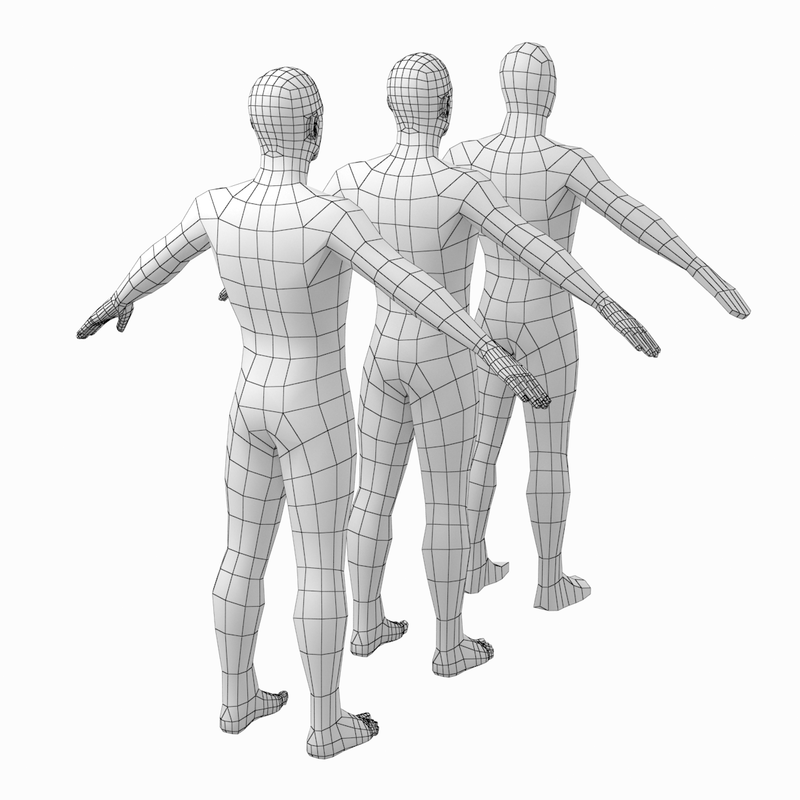 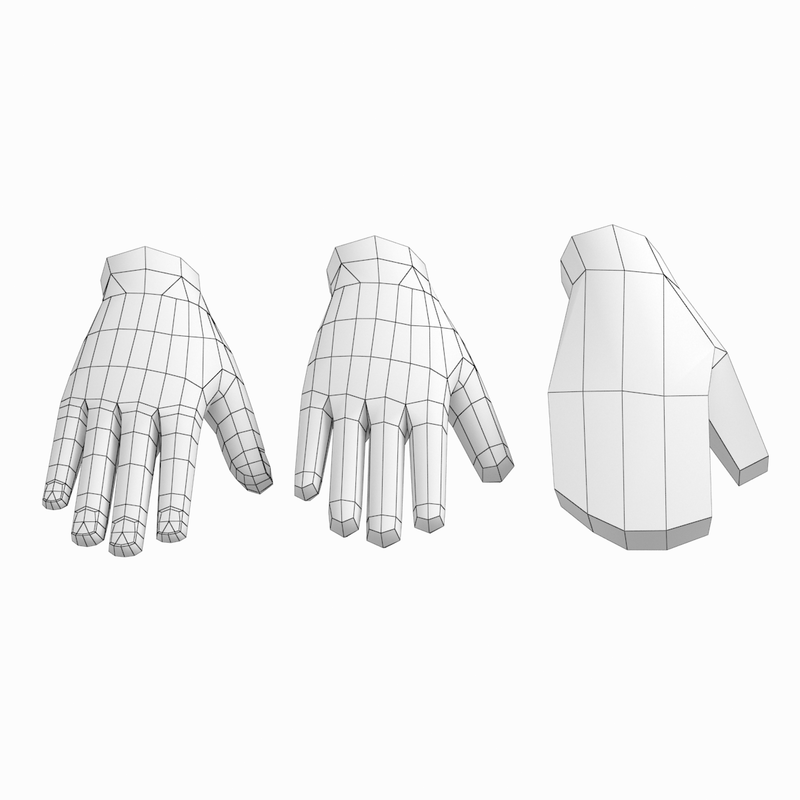 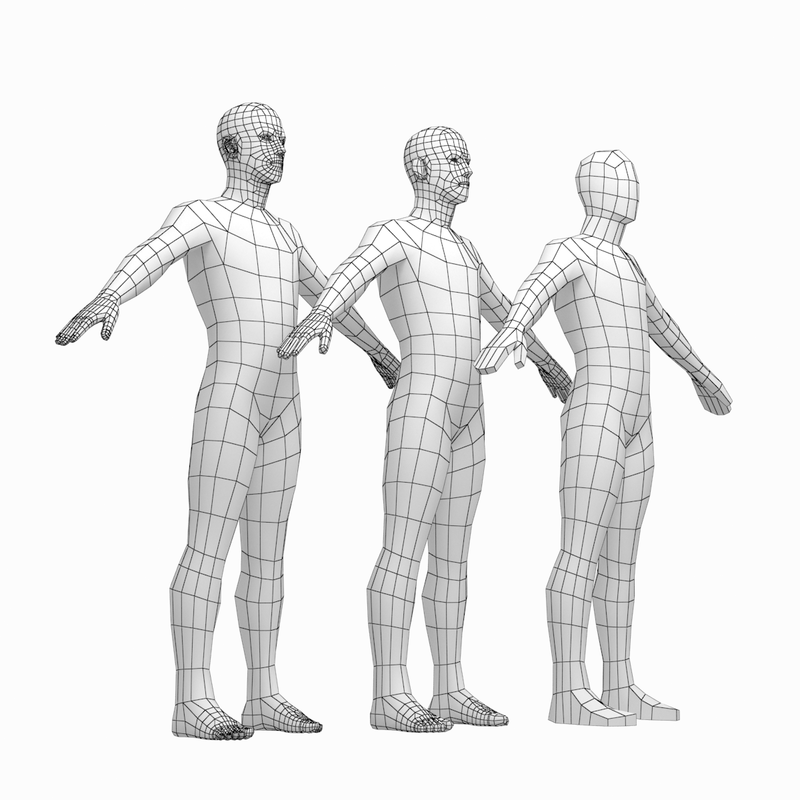 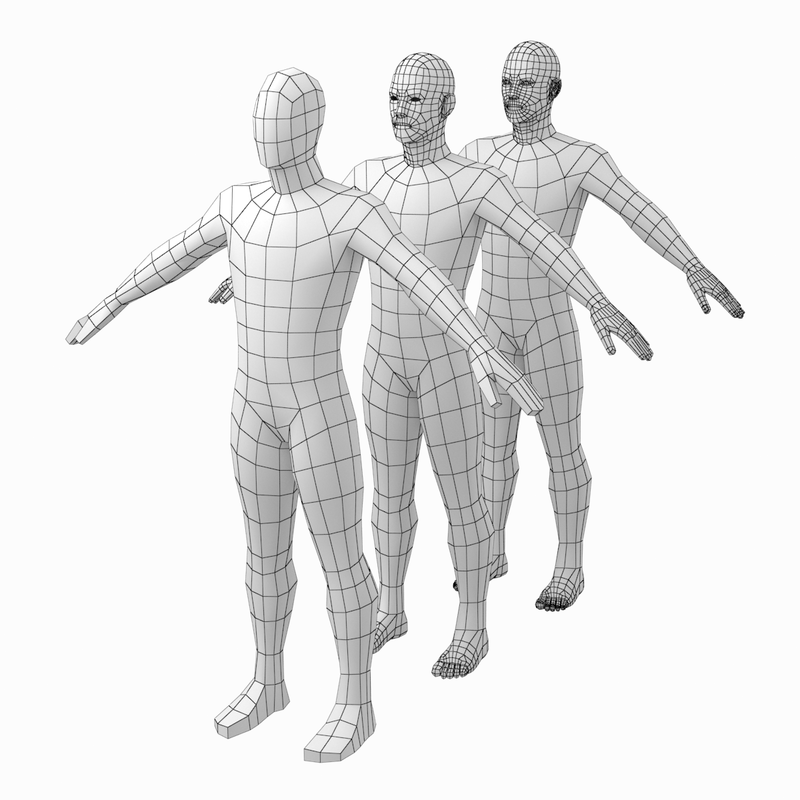 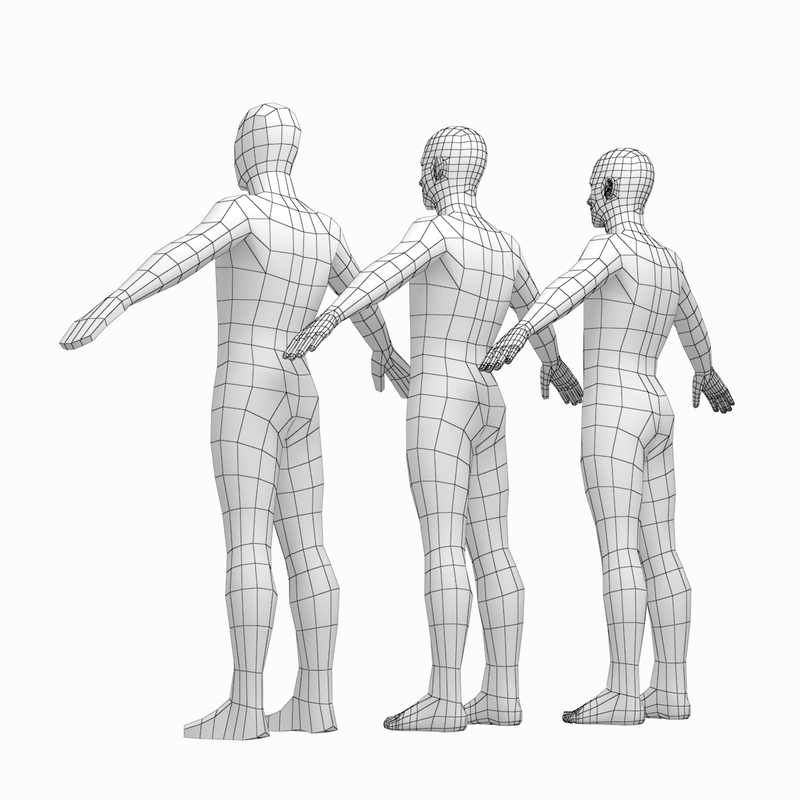 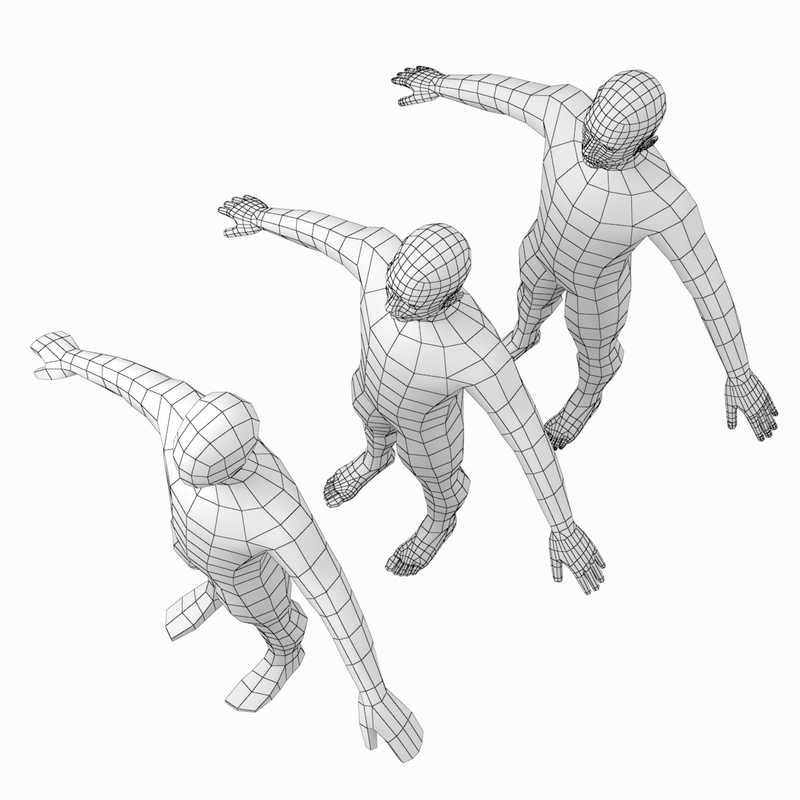 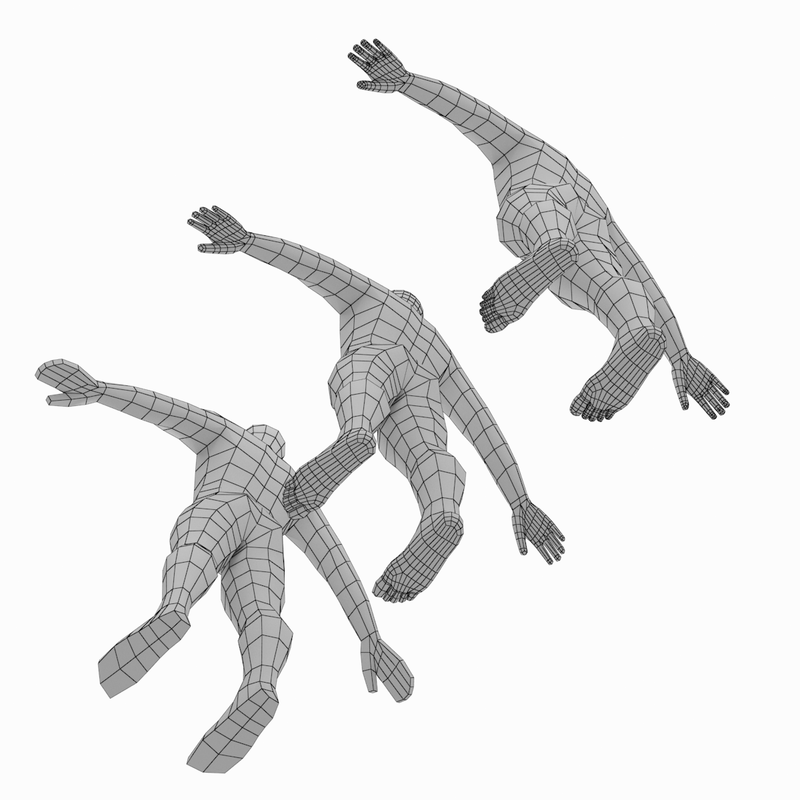 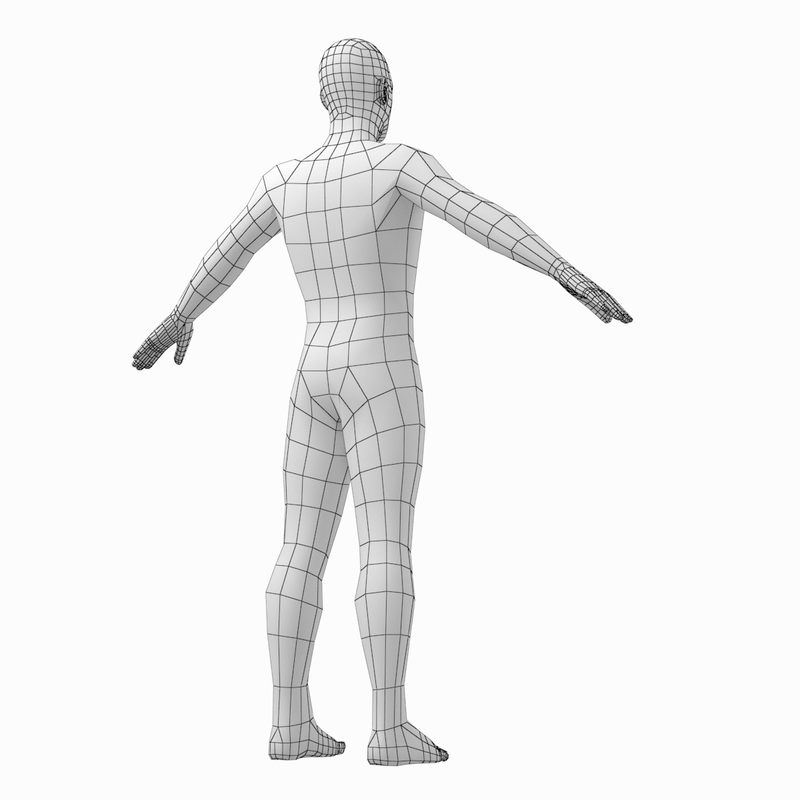 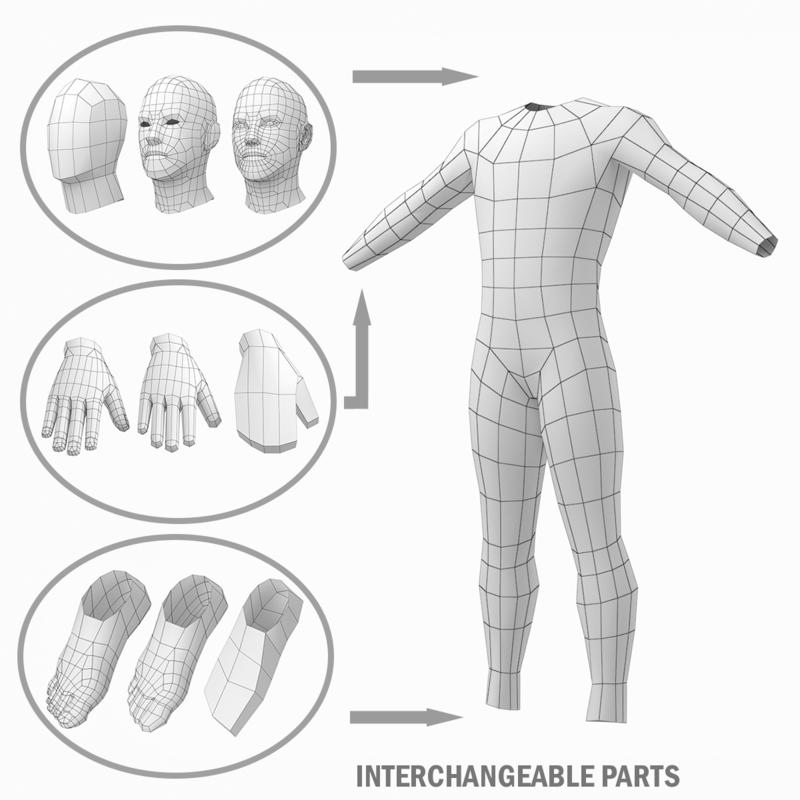 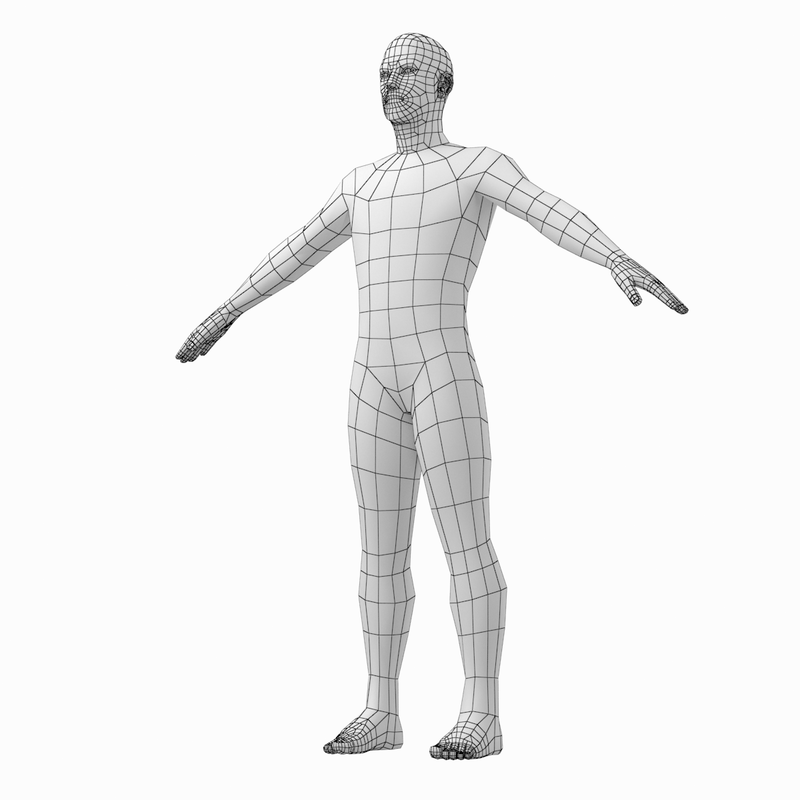 Basic low-poly mesh of male body in A-pose. 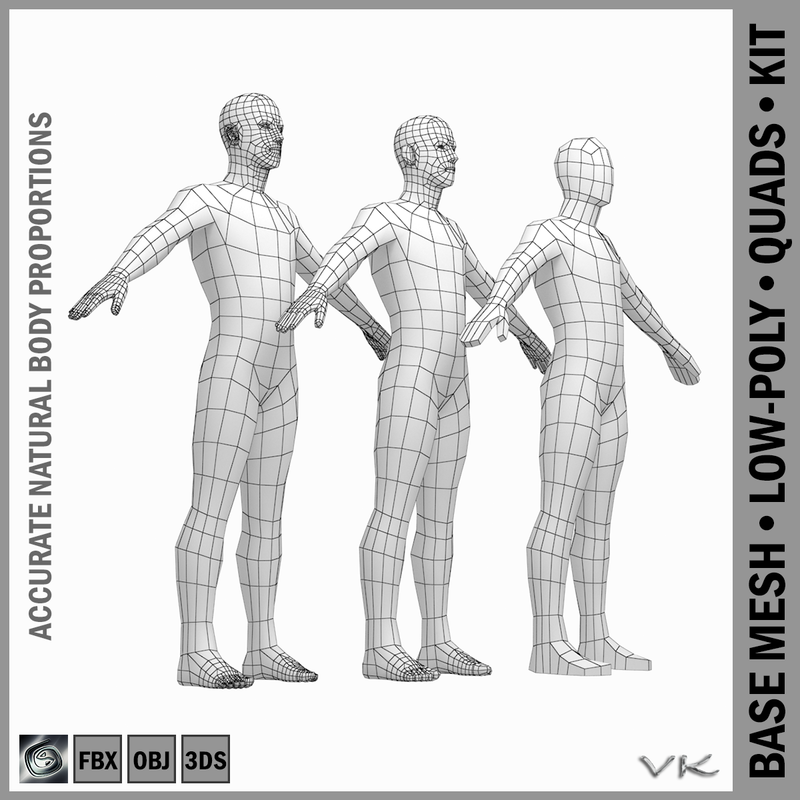 Extra two mesh density levels for head and limbs are provided: intermediate and advanced. 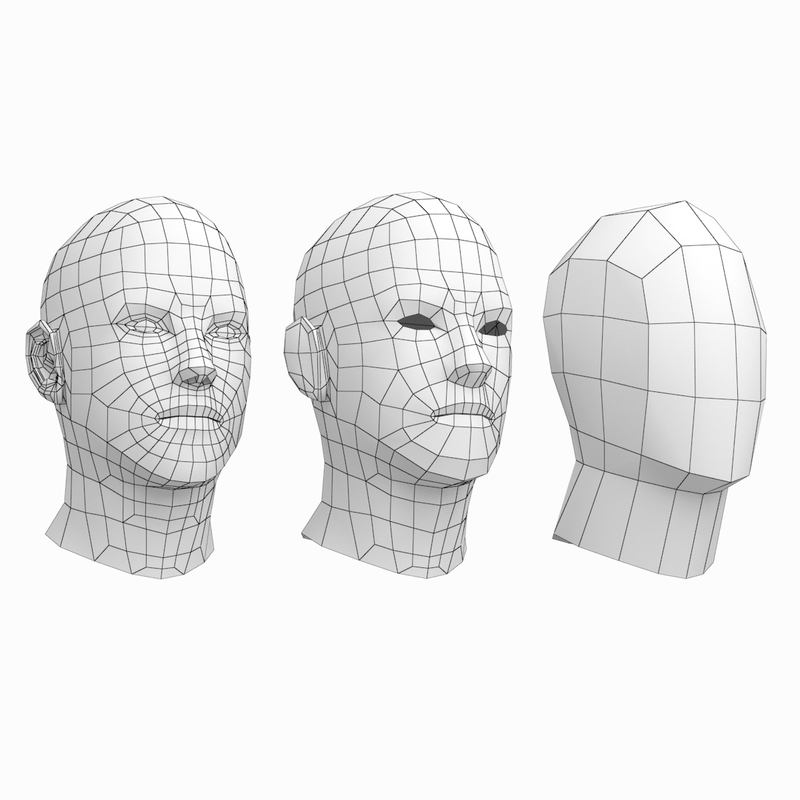 Advanced head topology features mouth pit and realistic ears. 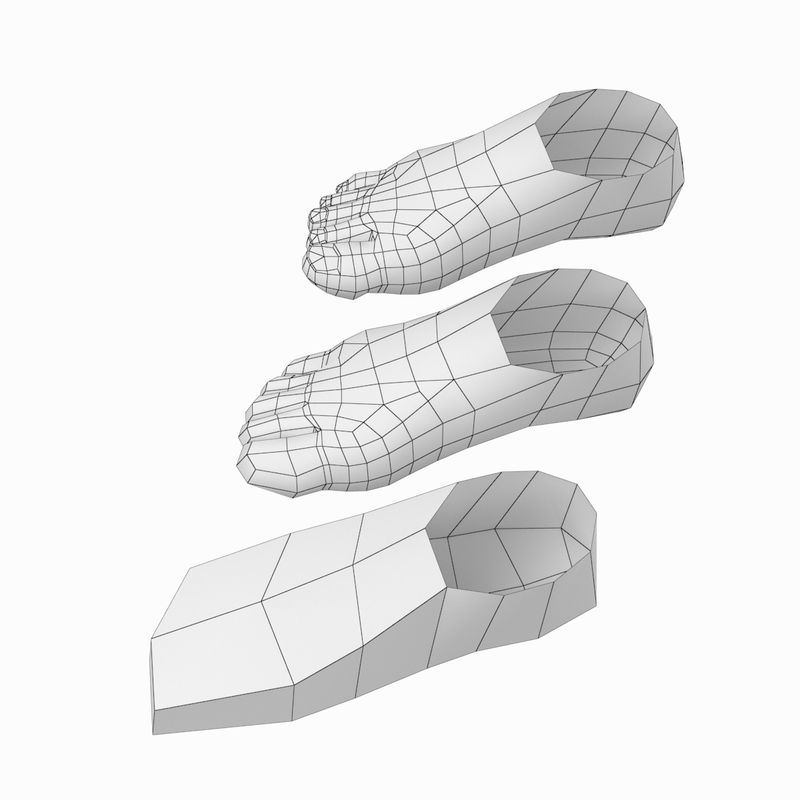 Each mesh density is put in a separate file.